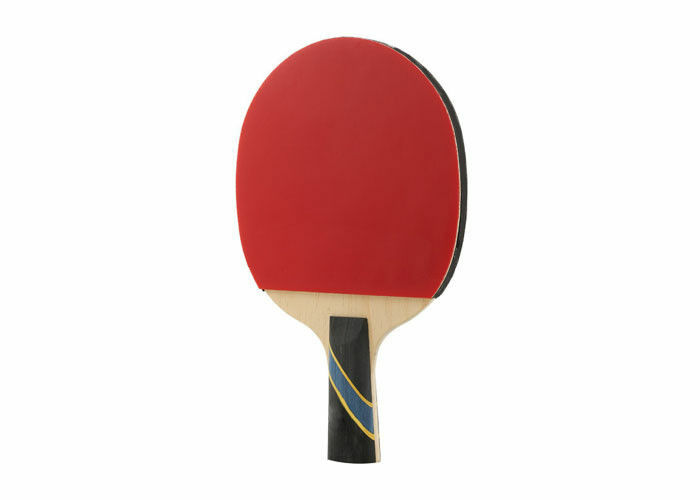 7 Ply Racket made of ayous wood, with sticky rubber and reverse rubber makes the ball speed and rotation quickly, the bottom full strength, explosive strength, stability and easy to control. Sweat-absorbent wood, improve slip resistance, more conducive to offensive and defensive. control, suitable for loop faster attacking play. Good quality sticky rubber with orange high elastic sponge. 3. Handle joint type design, to decrease the weight and good for control the ball. 4. The Arc shape of bat is made by science calculation, in order to hit the ball more accurate. Soft Sponge makes perfect control performance, speed faster. To improve the blade, to make quickly return, more strength and more sensibility to hit the ball.